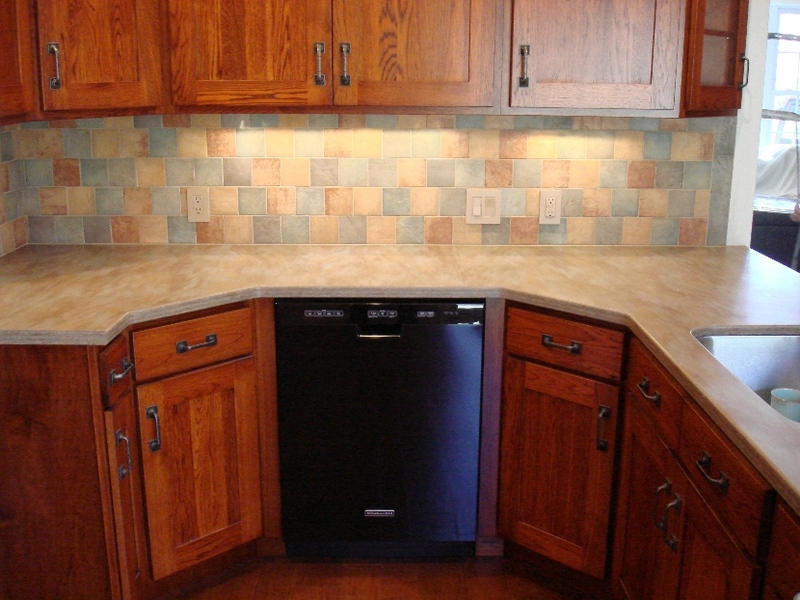 All cabinets of this kitchen were removed and updated, alongside the countertop. Added a backsplash to the sink side. Updated the sink unit completely. 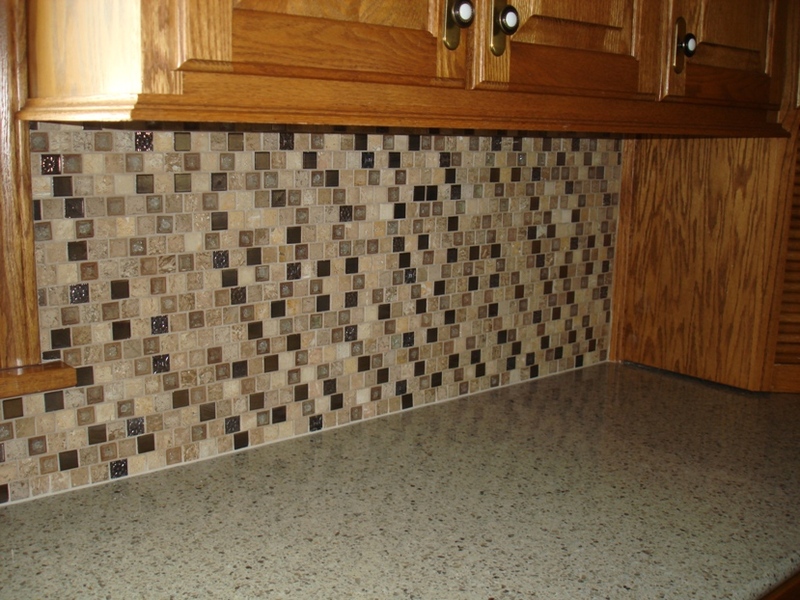 Added a mosiac backsplash above and behind stove unit. This particular kitchen was small and unwieldy in its original state. As such we took all the extra space in the room and nearly doubled its size. 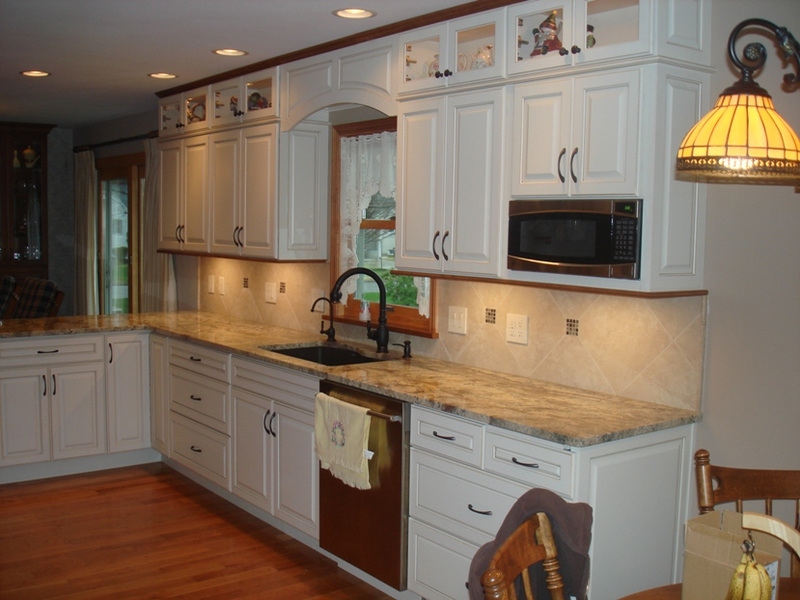 Adding in alternate storage areas, such as the cabinet in the far wall, completed the clients requests and more. 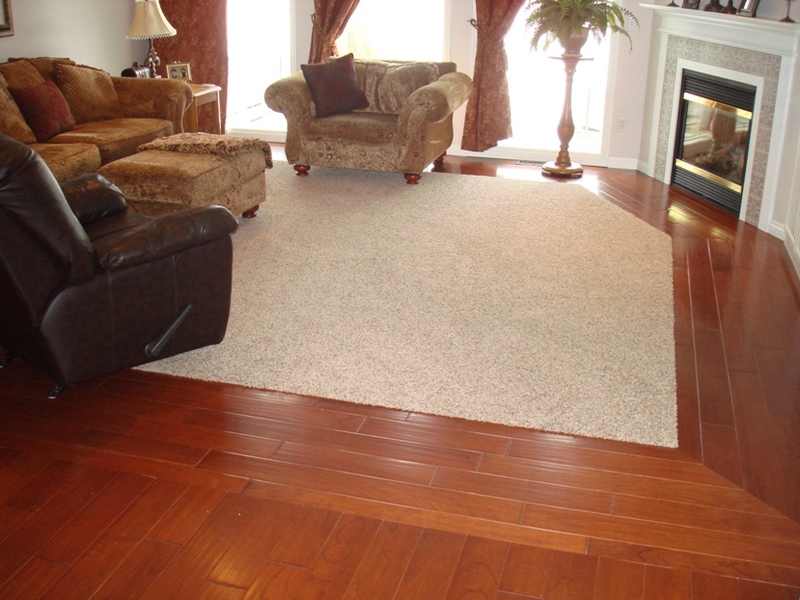 The flooring was also changed to a cleaner fabricated hardwood floor. The tile backsplash also added a cozier feeling than the original white walls. 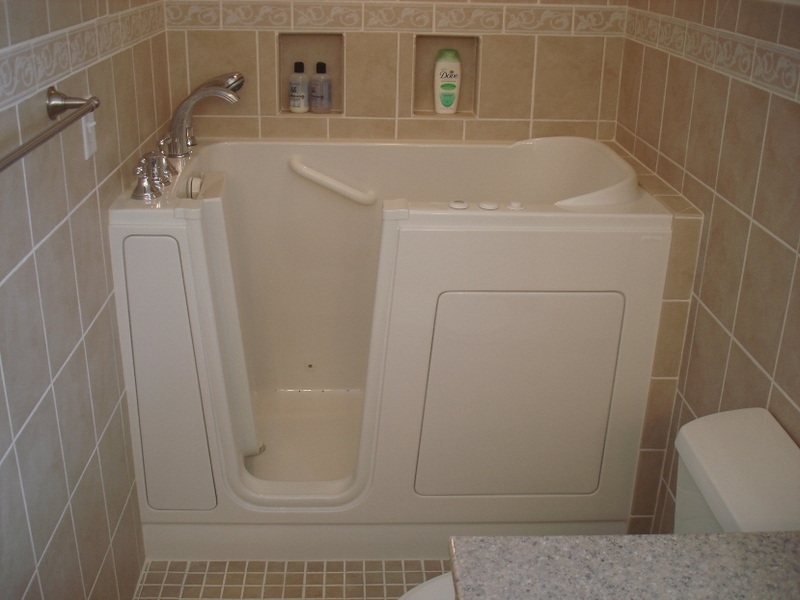 This project was a complete bathroom remodel that required a handicap accessible shower/tub. New white cabinets accented with sand colored tilework brought light and warmth into this small area. The most important factor of course was meeting the functioning requirements which were met without sacrificing on beauty.